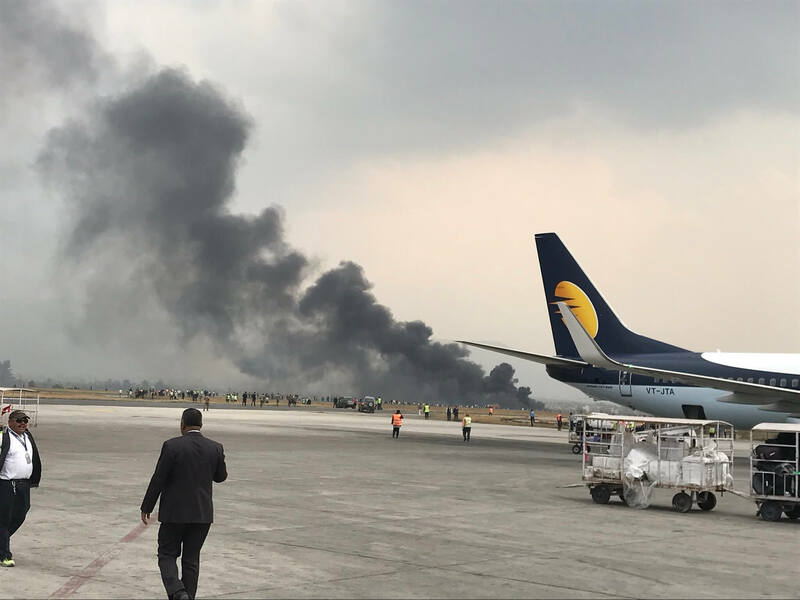 Malindo Air flight OD 181 was gathering speed as it hurtled down the runway at Kathmandu airport at 2210 when the crew decided to abort takeoff. The plane with 133 passengers and crew bound for Kuala Lumpur was already travelling at 165 mph and could not stop in time, overrunning runway 02 and coming to rest on the soggy grass beyond the threshold. At least ten arrivals and departures on Thursday night were either cancelled or diverted. Even till Friday morning the plane could not be extricated because it was bogged down in the mud which was soggy after rains. On Friday 8am the airport finally opened departures and arrivals from a displaced threshold of runway 02 for domestic fixed wing aircraft. Even so, many domestic flights were delayed or cancelled. The Boeing 737-900 has now been towed to the hangar area, and the airport is expected to reopen by noon on 20 April.